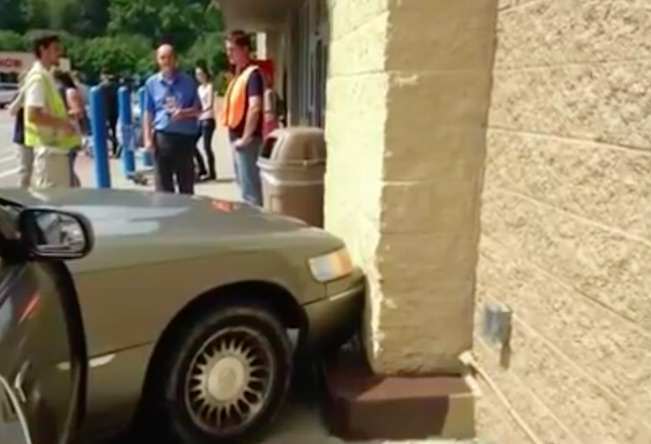 A pair of dogs have managed to crash their owner’s car into a Walmart. A witness told WSAZ she was standing in front of the store when she noticed the car moving out of its parking space and start rolling towards her. She said at first she thought it was someone she knew ‘messing with her’ until she noticed that the person behind the wheel wasn’t a person at all, but a dog. The woman then quickly got out of the way before the car crashed (pretty slowly) into the store. 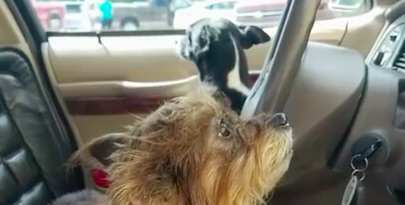 She also revealed that the joyrider had an accomplice, as a second dog was spotted in the passenger seat and – it gets better – after the crash, that dog somehow managed to roll the window down. The owner of the car reportedly turned out to be a woman described as ‘looking to be in her late 70s’ who said she left the car running while she went into the store so the dogs could stay cool. The pesky canines had managed to get the car into ‘drive’ before their attempted ram-raid on the store.